Time is your organization’s most valuable asset. How each person in the organization uses their time is vitally important to the success of the enterprise. If fact, when everyone is focused on the right objectives, communicating in the right methods, and engaging in the right activities, the organization experiences the Waterfall Effect – the cascading of benefit down through the enterprise and out to the client/customer. Not only will these topics be discussed, but eighteen examples and suggested steps for how to best leverage these principles will be provided. 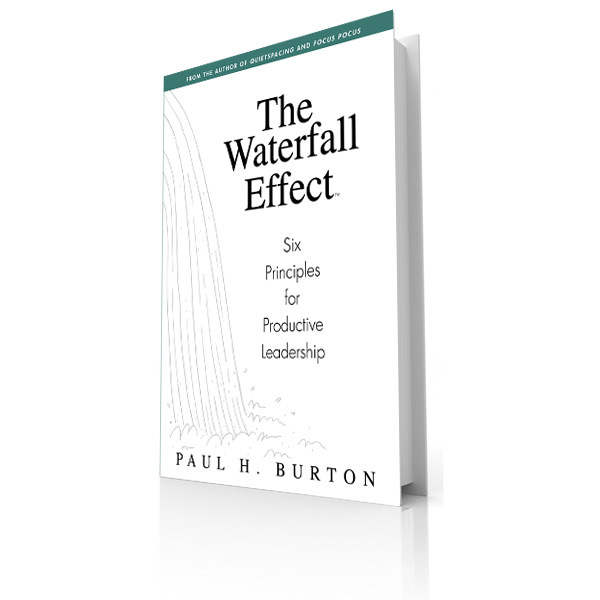 If you are looking to create the Waterfall Effect in your organization, then this program is definitely for you. Identify leadership behaviors that you can apply yourself and instill in others. Leadership is about how we think and what we do. Focus on behaviors that leverage everyone’s time. When everyone is properly focused and well engaged, everyone wins. Engage team members to achieve more. Achievement is a foundation principle of feeling successful.